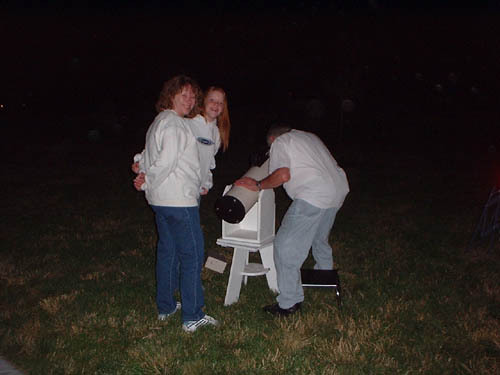 Star Party at SPOC (Stansbury Park Observatory Complex). Click on an image to view a larger image. Photos by Patrick Wiggins. 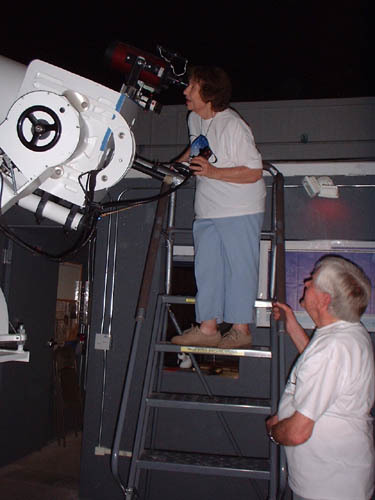 Colleen McNeil has a look through the Ealing as husband Boyd looks on. Katie Filler awaits her turn at the Ealing. 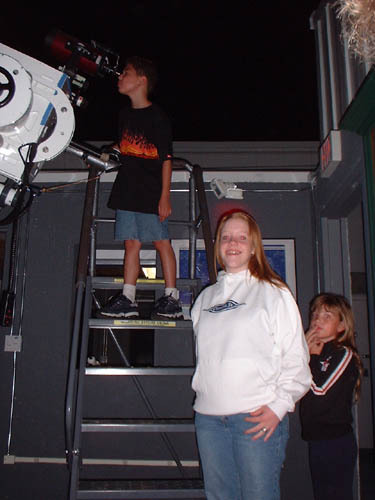 Debra & Katie Filler share the use of Katie's favorite Dobsonian. 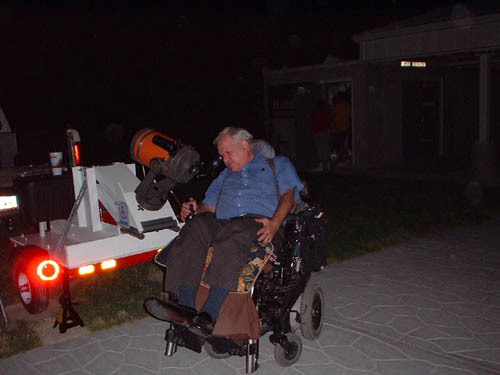 Roger Kelm puts SLAS' ADA telescope mount to good use. 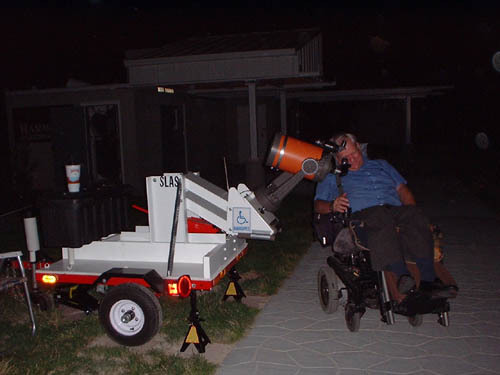 Roger Kelm tries out SLAS' ADA telescope mount.